Some botanical ‘square-bashing’ on 23rd September 2017 (see Double ‘ton-up’ at Drumbeg for a fuller account) included a very useful tour of the grounds of Drumbeg House (NC1232), guided by owner Eddie Strachan. This took me into areas I had not previously visited, including old plantation woodlands just north of the house. Here we came across several splendid troops of puffball fungi. 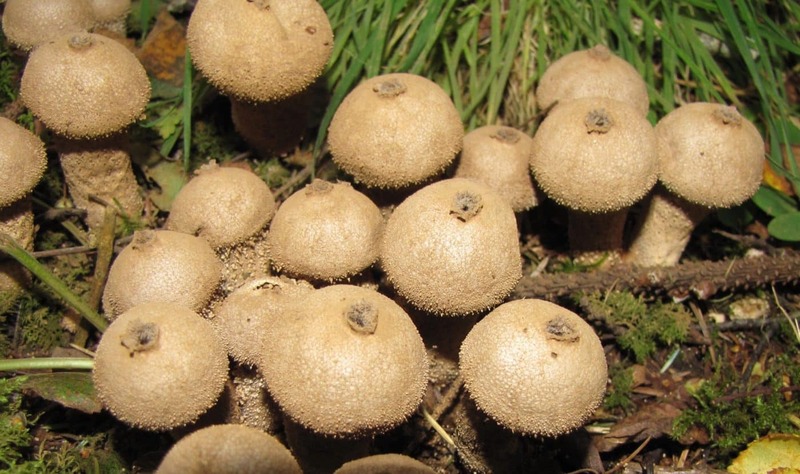 The numbers, size and shape, ornamentation and because they were almost certainly growing on decaying wood allowed me to confidently identify them as the stump puffball Lycoperdon pyriforme. This species does not seem to have been previously noted in Assynt, according to the records of the late John Blunt; the nearest he came across it was in Strath Oykell. Most of the fruiting bodies were mature, with open apical pores, through which they discharge their olive-brown spores, but a few younger ones were much paler. This is the stage at which they are said to be edible, but given their apparent rarity, I left them to grow on. 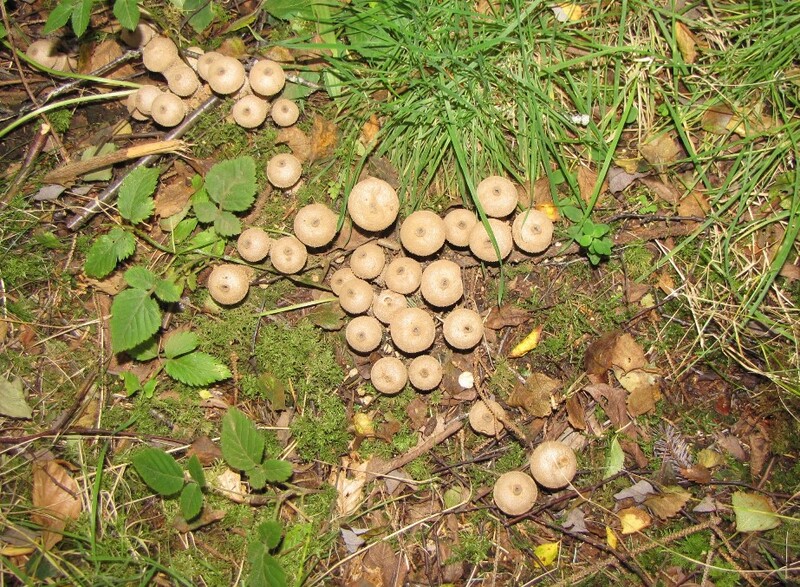 Other puffballs are found in grassland and moorland locally, but they are not quite so easy to name.